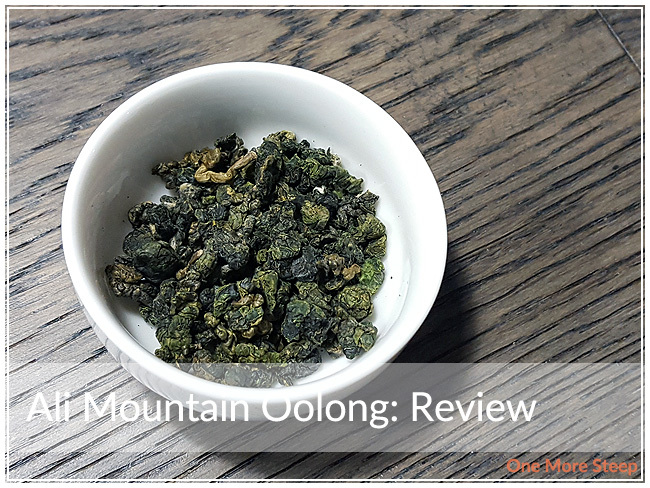 Golden Tea Leaf has provided me with Ali Mountain Oolong for the purposes of providing an honest review. 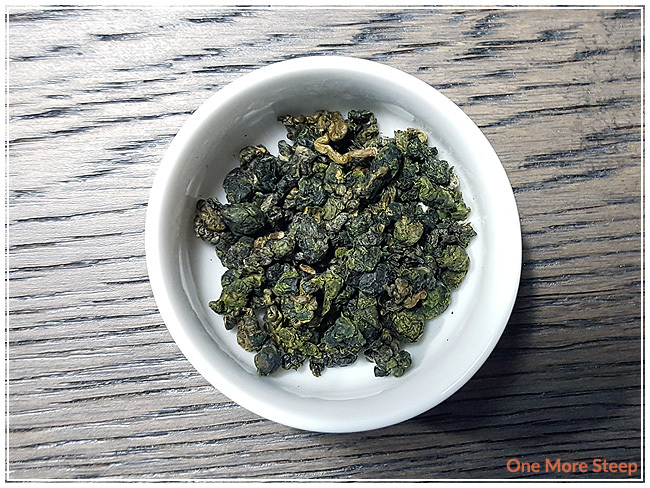 Ali Mountain Oolong came to me from Golden Tea Leaf in sample packaging. For those curious, ‘shan’ is Chinese word for mountain (hence – Alishan or Ali Shan is Ali Mountain). This oolong tea was the first place winner at the 2015 North American Tea Championship, so I’m quite excited about trying it! The sample packet is not resealable, I would say it contained enough oolong for perhaps three steeping sessions. There were no steeping instructions noted on the sample packet, but Golden Tea Leaf does have an instructional page on their website. They recommend steeping in 95°C (203°F) water for 2 minutes (initial steep), followed by 2-5 minutes for each subsequent steep. My initial steep of Ali Mountain Oolong was at 90°C (195°F) for 2 minutes. 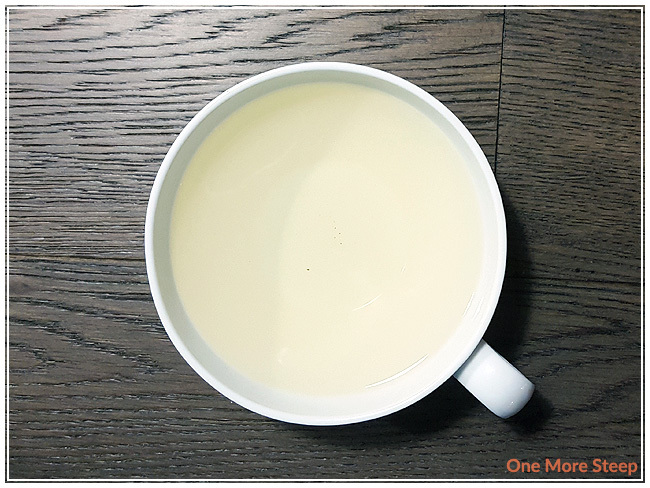 Ali Mountain Oolong steeps to a very pale yellow for the initial steep. I found that the aroma of this oolong was quite floral. The flavour of the tea itself is sweet, floral, with a bit of a sweet nutty finish at the end of each sip. I found that the tea was smooth, with no bitterness to note. The oolong has a great mouthfeel to it, that’s almost creamy in texture. I eagerly finished off the first infusion of this tea to try it again (and again, and again). I added an extra 30 seconds per subsequent steep as I resteeped the same leaves. 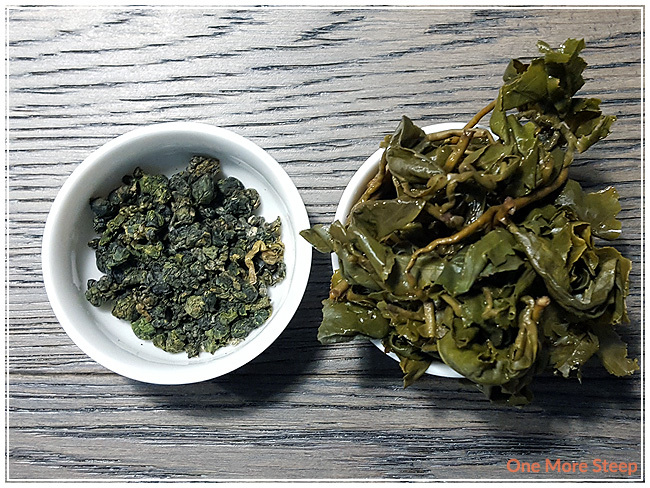 In total, I did seven resteeps of Ali Mountain Oolong (a total of eight steeps with the same leaves). I found that the tea got darker and darker, more of a golden yellow – which hit its peak in colour by steep four of the same leaves. The flavour got stronger as the colour became darker. After the fourth steep, I found that the flavour (and colour) began to get weaker, but it was still quite flavourful and enjoyable, even by the eighth steep. I poured off some of the tea into a mason jar, which got tucked into my fridge after it cooled to room temperature. I’m happy to also say that this oolong does quite well as an iced tea. I loved Golden Tea Leaf’s Ali Mountain Oolong. This oolong was a delight to try and to steep repeatedly. 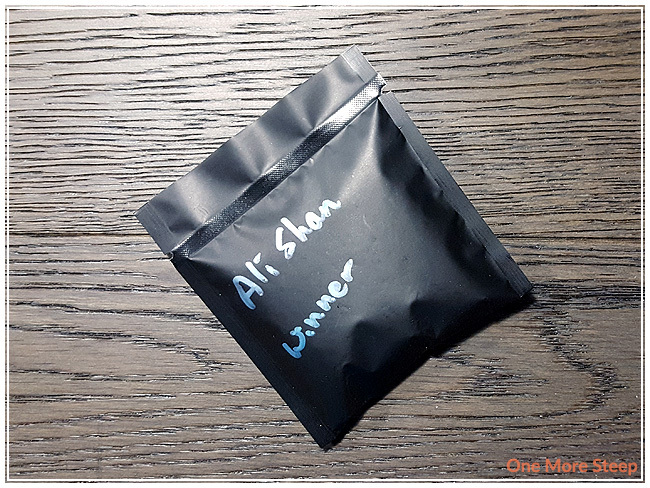 The price is quite reasonable for the quality of tea that you get with this Ali Mountain Oolong – the flavour is delicious and the tea leaves can be resteeped over and over again until you completely exhaust the leaves out of flavour. You get a lot of value out of these leaves with the multiple steeps that you can have, which means it is ideal to have over the course of a day.